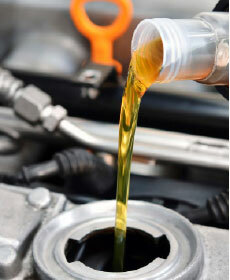 Service includes: Change engine oil, replace oil filter, inspect brake linings, perform multi-point inspection. See service advisor for details. Oil Change Includes up to 5 qts. of motor oil and new filter. Tax and disposal fee extra.